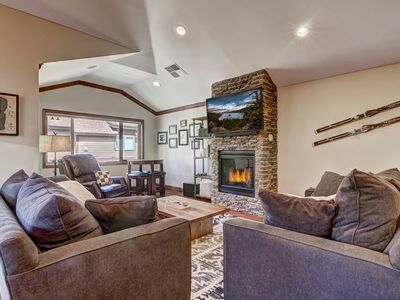 This home has been a full remodel. 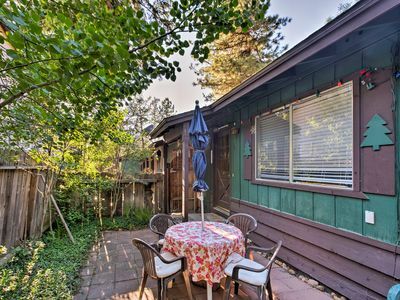 Enjoy Aloha in Tahoe House spirit and bask in the positive energy and ambiance of this three bedroom, two bath home with stunning water and mountain views in the Tahoe Keys. Upstairs you will find the sunny and spacious kitchen and dining areas with floor to ceiling windows overlooking the water and mountains. 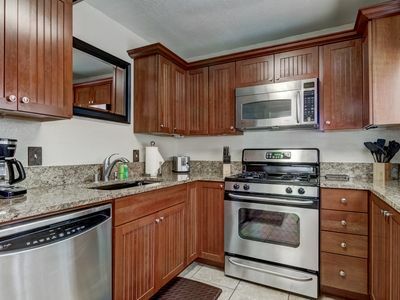 The kitchen has stainless appliances and is fully equipped for all your cooking needs. 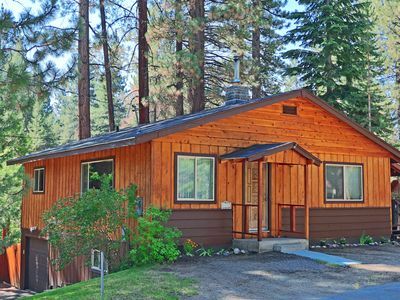 Indoors and out, you will feel a sense of rejuvenation as you spend your vacation in this 3BR 2BA home on the picturesque waters of the Tahoe Keys. Enjoy the many amenities of the neighborhood and the endless opportunities for activities in the area. 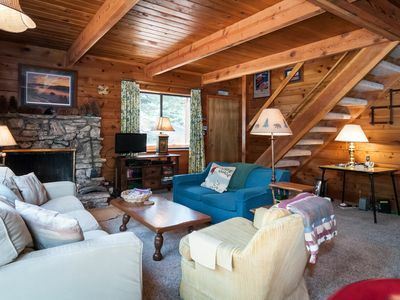 The large, cozy living room is open to the kitchen and dining area and has a huge sectional sofa for unwinding after an active day. 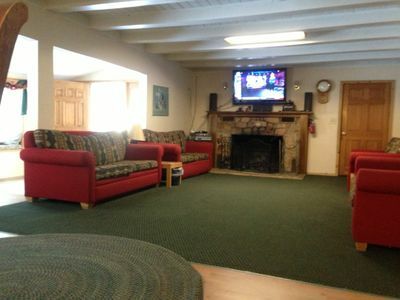 You’ll find a large flat screen TV and a fireplace here to help set the mood for relaxation. 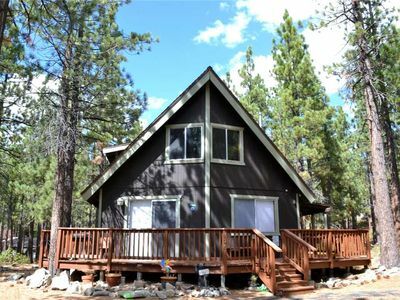 There are two bedrooms upstairs, both with large sliding doors to let in the cool, fresh, mountain air that is so good for sleeping. One room has a king bed and the other has a queen and a twin. There is a full bath on this level. 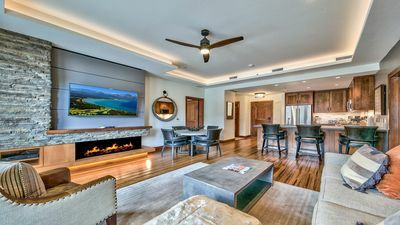 On the lower level there is a den with a pool table and a fireplace and more views from the large sliding doors. The private master is on this level and has a king bed and its own bath with a shower and a large soaking tub. 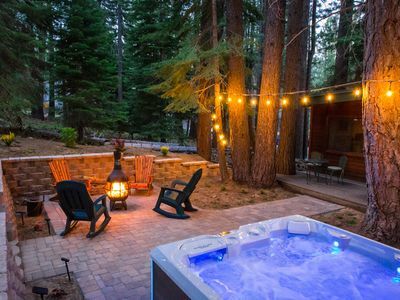 If you are in the mood for a soak while stargazing, the hot tub is just outside the sliders of the master bedroom. 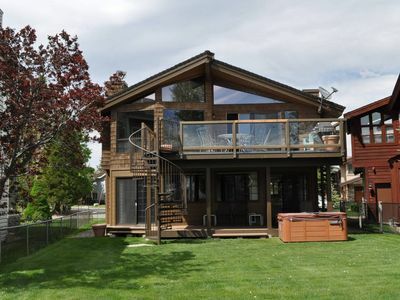 Enjoy large upper and lower decks on the house as well as a deck over the water and the two-sided boat dock. The grassy yard is fully fenced with room for the kids to play. 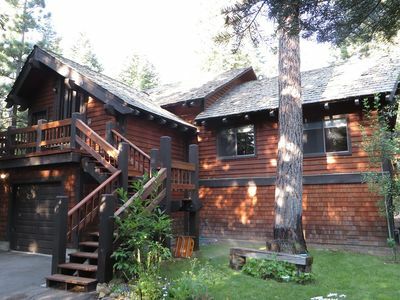 Bath towels and linens are included in this rental. Cable, internet and DVD player. 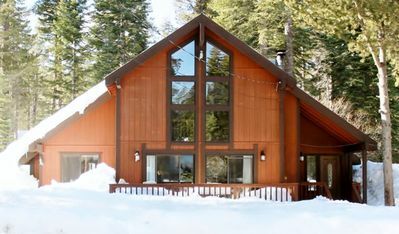 No air conditioning, but with our great Tahoe summers, its rarely needed! Amenities available at the Tahoe Keys. There is a fee. While we are dog friendly we cannot accommodate more than one average sized dog or two small dogs. 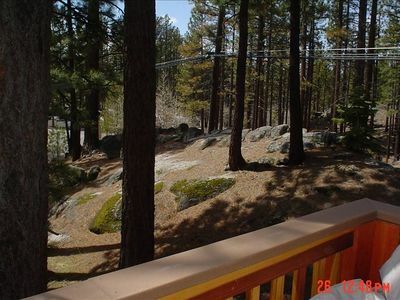 Guests MUST BE 25 YEARS OR OLDER to rent a vacation rental in South Lake Tahoe.he person who books the home is required to be 25 years or older and must be present through the rental stay. Parents or other family members, friends, are not allowed to book your reservation for you. Dogs OK. Pet fee is $75 per dog, per day. Please see Pet Policy below for additional information. Late Check out: There will be a $350 late fee charge if you check out later than listed for the home, unless it has otherwise been pre-arranged ahead of the trip. Parking: This home has parking spaces for 3 cars. 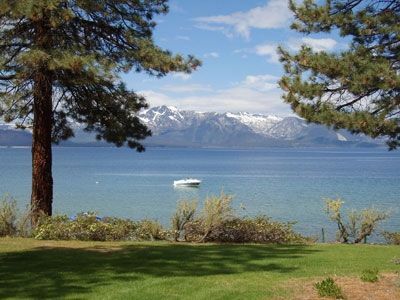 Per city of South Lake Tahoe ordinance, No street parking is allowed and no parking in dirt or empty lots as well. 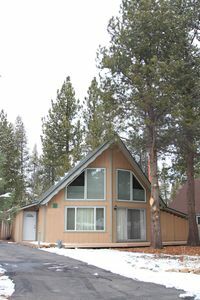 House Rules per South Lake Tahoe Vacation Rental Ordinance: City will fine offenders for each violations to above. Fine is $1000 for individual violations. 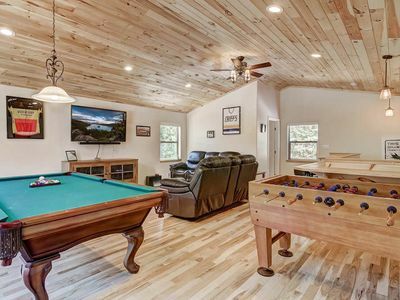 - Maximum Occupancy is 8 adults/children. - Maximum parking at this property is 3 cars. - Quiet hours must be abided: 10 pm to 8 am. - All trash must be placed in the or HOA dumpster. Supplies: A starter pack of paper goods and soap will be provided. Unlike a hotel, we do not replenish these supplies, and you are responsible for your own supplies during your stay. 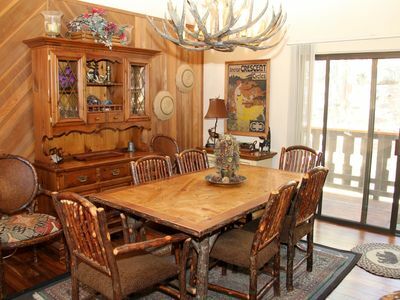 Each home has a coffee pot and basic kitchen pots and pans, dishes, flatware and glasses. Not all homes have cooking oil and spices. When pets are accepted (Sorry, no Husky / Malamute breeds allowed), the following terms, conditions, and restrictions will apply: If excess hair is left in home from pets you will pay an additional $100 cleaning fee. All pet droppings must be removed from the premises and disposed of prior to departure or a fee will apply to clan up after your pet. Guests are responsible for actions of their pets. Pets are not permitted to wander from the rental property, or in any way disturb neighboring properties or their residents. Should the welfare of the rental property or quiet enjoyment of any neighbor be compromised, you will be required to remove the pet from the premises. Should this occur, you remain responsible for fulfilling all other rental conditions and the financial commitment for the entire rental period. Cooking Oil and Excess Grease: We charge an extra cleaning fee ($100) for those who like to cook with oil/grease and do not THOROUGHLY clean up after doing so. NO EXCEPTIONS. Trash: Please remove trash from the house at least daily and place in the trash cans provided in garage. Do NOT put trash outside of the home. Trash Pick up day is Friday, if you are staying in the home this date, please put out that day. Our community is “Bear Aware” and minimizes any risk to bears by keeping trash in the provided bear bins outside or in the garage. Please always be mindful to remove all food and scented items from your car. Bears love to break into cars! Snow Removal: This home has snow removal service for the driveway and walkways when snowfall is over 4 inches. Snow removal services are provided on a priority basis with the plow drivers. You Service. may have to use the shovel provided to clear entry/walkways. Departure: At check-out, please put all perishables and food items in the refrigerator, turn off all lights/fans, close all windows and louvers, and place all trash in the outdoor trash cans in garage OR leave garbage bags in kitchen area. Please be certain that the entry key is in the lock box. BBQ must be left clean and not moved. Please replace cover on the BBQ once cooled down to protect it. Out Cleaning Charge: The out cleaning charge is a specified amount shown on your receipt and NOT included in the rent. It is based on the understanding that tenants will leave the unit clean and tidy at departure; including kitchen, bathrooms, laundry area (in the condition that they found it on arrival). 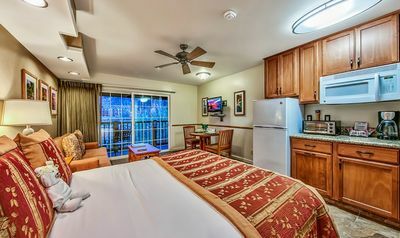 Any extraordinary cleaning or laundry resulting from your stay will be charged. Tenant agrees to keep the premises in a clean condition, to exercise care regarding all furnishings and household items and to make no improvements or alterations. Tenant is advised NOT to move furniture, and NOT to take furniture cushions outside. Acknowledgement: Tenant acknowledges that he/she has read, and understands and agrees to the House Rules listed, and agrees to abide by all stated restrictions on use of the property. Tenant understands that he/she is responsible for himself as well as all persons renting. If tenant (s) violate any of the House Rules, Home Owner reserves the right to evict tenants (in which tenant forfeits reservation expenses paid) and/or reserves the right to fine the tenant (s) a $2000 fine for violation of House Rules. Travel Insurance: We do not offer refunds due to inconvenience or conflicts that arise in your schedule, including road conditions. 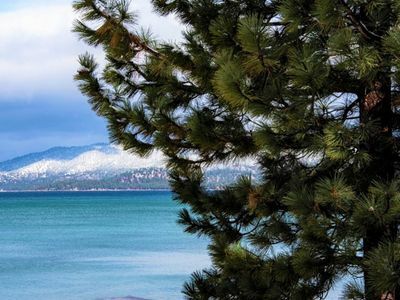 Remember Lake Tahoe is a winter climate and road conditions are impacted by snow. Please plan your trip accordingly. For a few extra dollars, we suggest purchasing travel insurance to ensure peace of mind. "Insure My Trip" website provides research and information on good travel insurance companies. 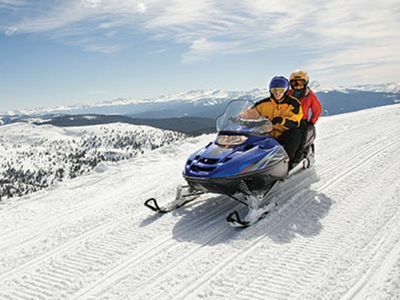 Ski, water ski, mountain biking, jeep adventures and much more! 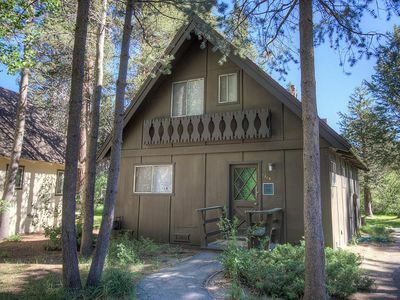 Rustic Cabin w/ Yard & Patio - Walk to Lake Tahoe!